In an unfortunate incident, a woman and her daughter got killed on the sets of Kannada film Ranam. The film was being shot in Bengaluru’s Bagalur and a car-blast scene was being filmed. The mother and daughter were not the part of the crew but mere bystanders who stopped to watch the shooting. The SUV, that was being used for the scene, had cannons attached to it, for it to explode high into the air. However, a compressor reportedly didn’t work as expected and rather flew across hitting the bystanders, taking the lives of the two and injuring more. As per a report in Bangalore Times, the woman’s husband and elder daughter were also present at the sight. 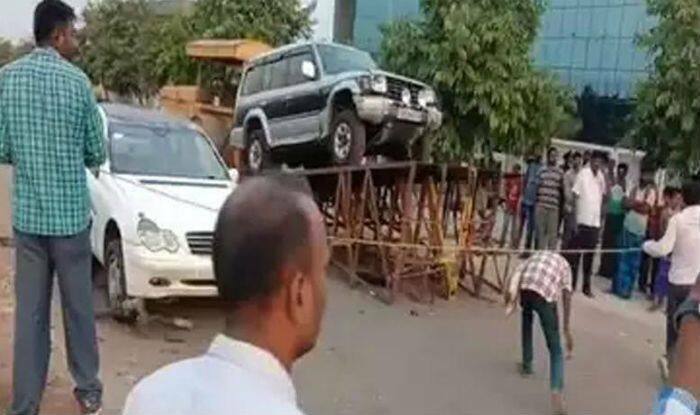 While the daughter is being treated at a private hospital for serious injuries, the husband escaped the accident since he was standing a little far. An FIR has been lodged against film producer R Srinivas, director V Samudram, production manager Kiran, stunt manager Vijayan and other technicians. Police are currently searching for the absconding film’s production unit. It’s also reported that the filmmakers were using hydrogen cylinders and not LPG cylinders during the shoot, that resulted in more damage due to the blast. Ranam features Varalaxmi Sarathkumar, Chiranjeevi Sarja and Chethan Ahmisa.